Q&A ♥  How to take care my hair? & What lens I'm wearing ? Herloo &amp; Sorry guys ! I'm late♥.. I almost done my Financial Accounting's assignment! Still got few question haven done yet! So Good..Tomorrow is Holiday for Selangor area! I have no class tomorrow and I planned some outing for tomorrow :) Oh yea! Final exam coming but still I have to enjoy Til the max for my 1 week break on 28/9 later! 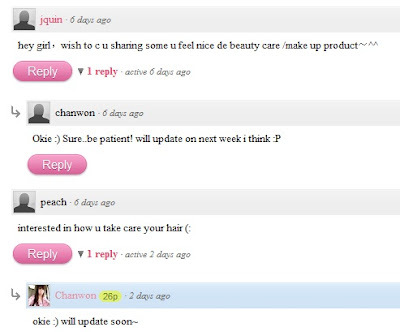 Some readers ♥do comment on my previous post there..And my email..So I'm here to answer you guys one by one..About the beauty care/Make up product you can find it on your right-hand side Sidebar there..Find the label♥..I always sharing some make up product there and also skin product..So if you're interested just click my label for more information..
Now I'm going to tell one of my reader about..How I care my hair♥ :) Actually every girl can have their own nice and long hair..The problem is nowadays we always dye our hair..Make it curl then straighten it on the next day...Those action spoil and damage our hair..So we have no choice but to take care of our hair if you wanna make it look nice /shine and bright! or anything! I have a super duper thick and long hair last semester and I decided to cut it short♥ ! Because my hair totally dead and damage til the max! I still miss my long hair so much :) That's girl! want to cut it short when long..On the other hand want to let it long when short! My god! I'm using the same shampoo until now :) But i think is better to change..Because as we know if we keep using the same type of shampoo ...the shampoo will become not 'functioning' :) Just like if you keep plan the same type of plant on a place..the plant will grow nicely at first then if you keep continue..The result is not as good as the first time :D This is what doctor told me last time and on the tv show! 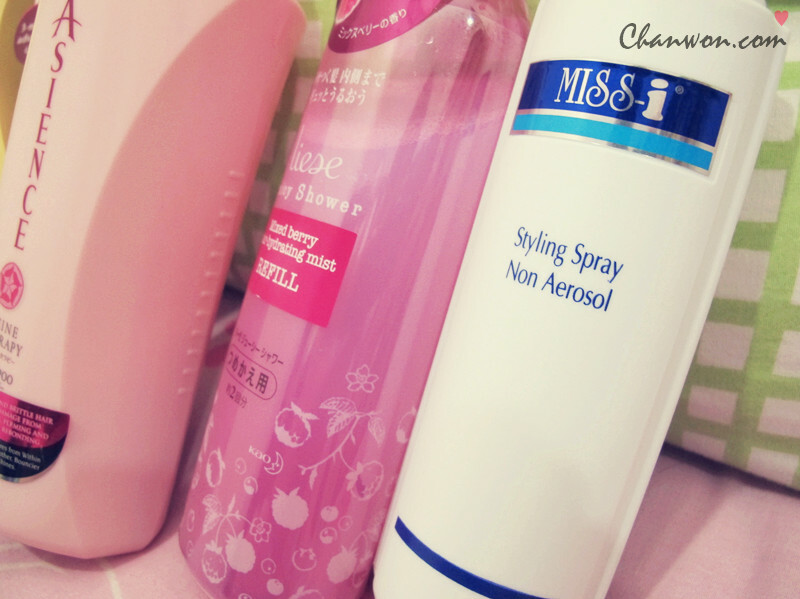 About the hair spray..Got many kind..I got many bottle..But almost all is having the same function..So any brand as long as you wont feel itchy after used it..Then it's ok for you to continue it!..Teehee♥ ..
Then last time I always use Hair Spray with is something like gas form one spray on my hair..That's really damage my hair til the max! But i still need it..Then after that my mom bought me this..Styling Spray non Aerosol♥ .. I use this ..Is actually a liquid form and this is really long lasting for styling my curly hair! 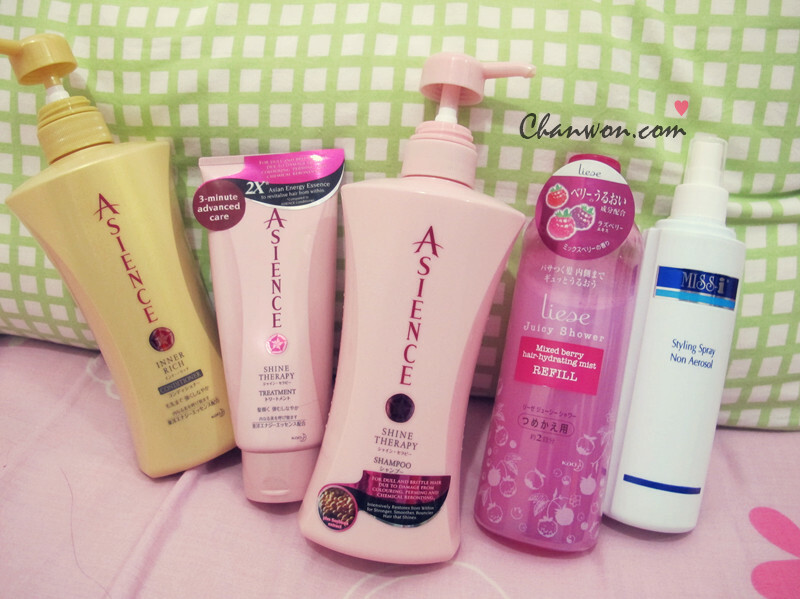 Really help me..And it's so cheap..RM16+ i think..Not a popular brand but from professional saloon one! Not bad..even the packaging is not really that 'attractive' LOL..Any shape!!... it really can help to hold the shape! Oh yea! Thanks mom♥ ! The first one Is from Bincon - Sweetie lens[Brown]! This is the one make my eye injured like hell last time..One of the lens make my eye damn uncomfortable at the end cause my eye red like ghost..One week can't wear any lens! Because of this stupid things..I rather to buy outside one..Got no problem! This is the first time I get my lens from a optic shop! But after exchange it..Is really comfortable now♥ ! :) But still..My advice Don't Wear It over 8 hours! If not You're Killing Your Eye Slowly ! lesson learned! 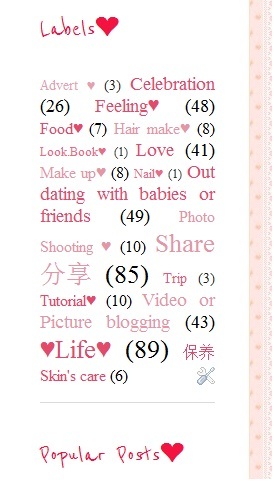 The next one is POP C lens :) Is grey♥ ! I forgot the name of it..LOL :) Freaking nice but will feel dry and uncomfortable after 7 hours! The last one is From my friend's shop.. Is Rose Grey ! It look like a rose and enlarge til the max..Not really wear it out to shooting because my eye will look so dolly until can't see my white eyeball! Lol..I'm still only comfortable for the lens with 14.5mm Diameter♥ ! Other than that..try to say NO! If not next time without the lens you will obviously look so ugly ..Because you will feel that your pupil is super duper small ..And you look like a sick person when you don't apply any make up things and lens! And please let your eye breath :) It need oxygen too my dear♥ .. So..time to end my post..Too long you guys will fall asleep :P Good night then..Bye bye♥ !